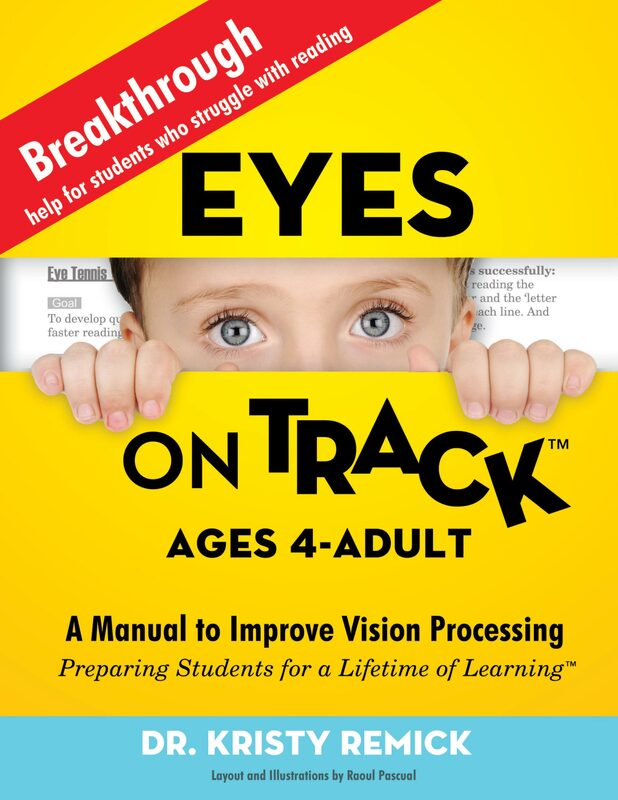 Eyes On Track ™ offers solutions to understanding “near visual skills” which are a vital missing link to successful learning. Parents, educators, and home school teachers discover the importance of identifying visual learning problems in the classroom. 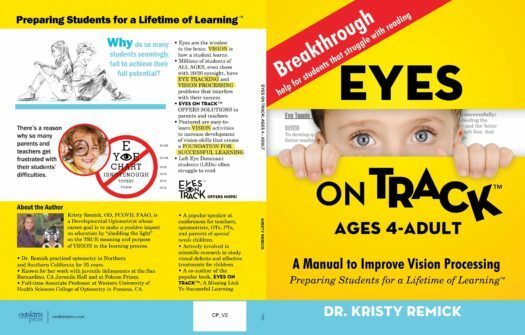 This book (PDF file) includes observation checklists and 60 pages of fun purposeful eye games to improve students’ EYE TRACKING and VISUAL PERCEPTION skills. worksheets and charts for EYE TRACKING & VISION PROCESSING are INCLUDED.